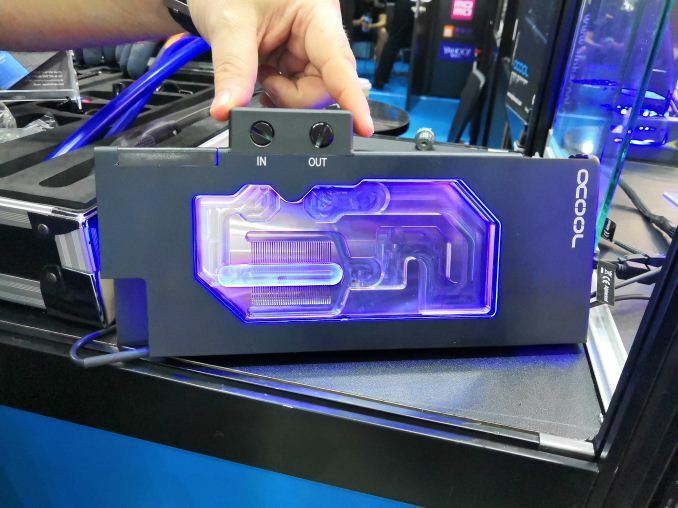 One of the unexpected discoveries on the showfloor at Computex this year was a waterblock from Alphacool. 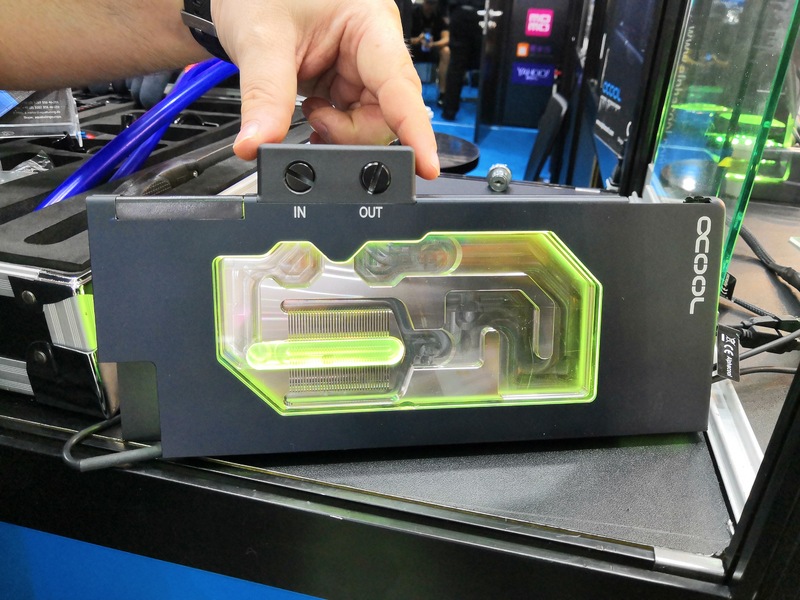 As part of the Eis (‘Ice’) family, the Eisblock GPX is a waterblock for the biggest cards from NVIDIA and AMD, but features one important action: the ability to adjust the waterblock from connecting vertically or horizontally. 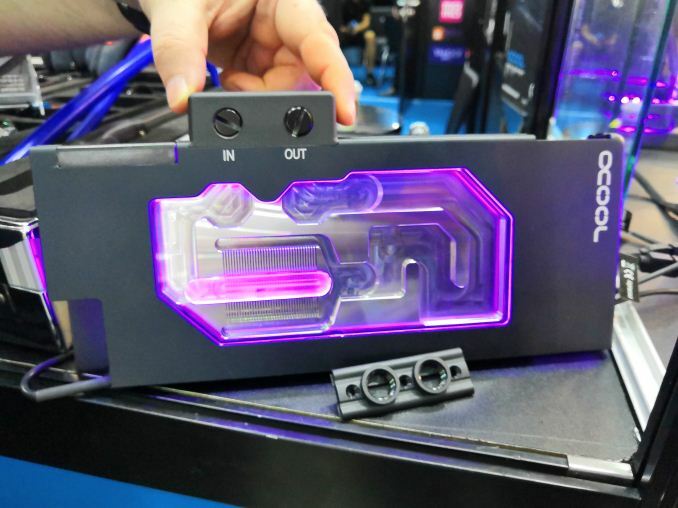 When connecting GPU waterblocks, the direction of the connectors will assist in the total volume that the build can take, or when connecting multiple regions into a single loop, will assist in also keeping the bulk down. 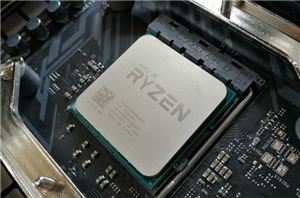 Up until this point, users had to buy waterblocks with the direction of the pipes fixed to each block, meaning that the type of block had to be planned in advance. 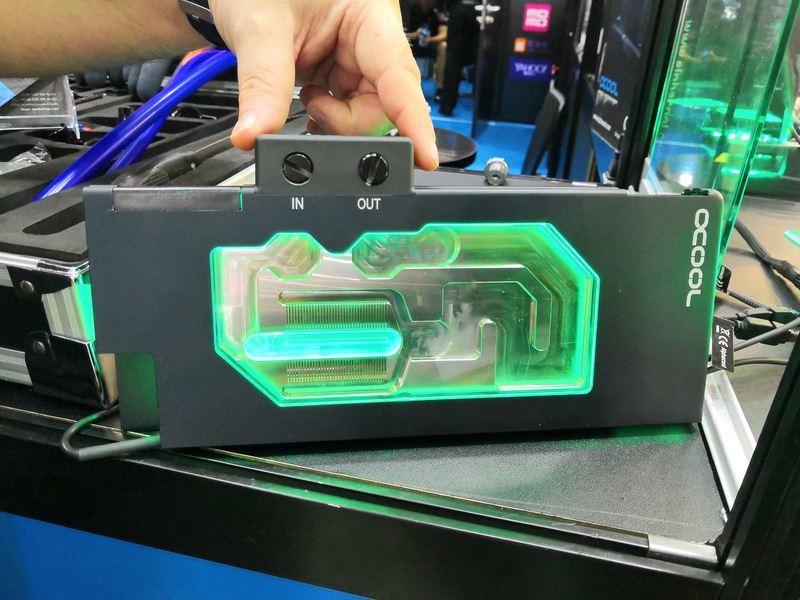 With the Eisblock GPX, Alphacool is hoping to make that a thing of the past: buy one block and it can do both. The section here with the in/out holes for tubing can be replaced such that the water flow going in and out can be in line with the card (horizontal) for best flow, or perpendicular (vertical, as shown) for when multiple cards are in the same loop. To add to everything, the block has RGB LEDs for when a user peers in to the case to see the water flow. At current, the Eisblock GPX is only built for Titan-level and Vega cards. 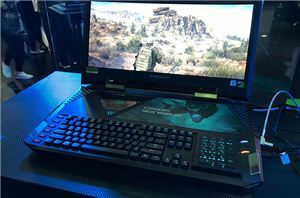 There are no plans to bring it down to the GTX 1070/1080/Ti level, despite the market being considerably bigger for those GPUs. 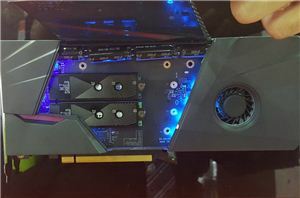 The GPX-N version for Titan cards currently retails at $163.